Issue embossed credit and debit cards anywhere, anytime with the Datacard® CE870™ instant issuance system. The powerful CE870 system offers the flexibility to issue a variety of card types in a wide range of formats — with special characters and multiple languages. Create card programs that align perfectly with emerging consumer demands for customization, personalization, flexibility, on-demand service and integration with self-service kiosk applications. A variety of physical and logical security features protect your program and ensure compliance with industry standards. Issue high-quality, embossed financial cards on-demand. Minimize card pre-printing, inventory and mailing costs. Improve cardholder satisfaction and differentiate your brand. Improve activation rates, card usage and other revenue-driving metrics with instant issuance. Configure the modular system to meet your exact requirements. Connect your business to card issuance opportunities in the fast-rising self-service economy with hardware that adapts to a wide range of kiosk environments. Purchase financial card printer and embosser supplies and parts in our newly redesigned online store. See how Instant Issuance differentiates a large Credit Union and elevates their service. Increase customer loyalty, improve card activation rates and create cross-selling opportunities. Add optional EMV®-compliant smart card personalization, direct-to-card printing for elements like account information and full-color head shots, mag-stripe encoding, or a high-capacity, six-compartment input hopper to create the ideal printer for your precise requirements. Integrate the CE870 system with the complete line of Datacard® instant issuance offerings, including Datacard® CardWizard® issuance software. Easily integrate with a wide variety of multi-purpose kiosk solutions that include external card readers and other configurations to offer program flexibility. The kiosk hardware enhancements allow the system to meet the security and reliability required in kiosk environments with card recapture functionality and dependable, proven hardware. Top module (single input hopper, encoding, printing): 12 lbs. 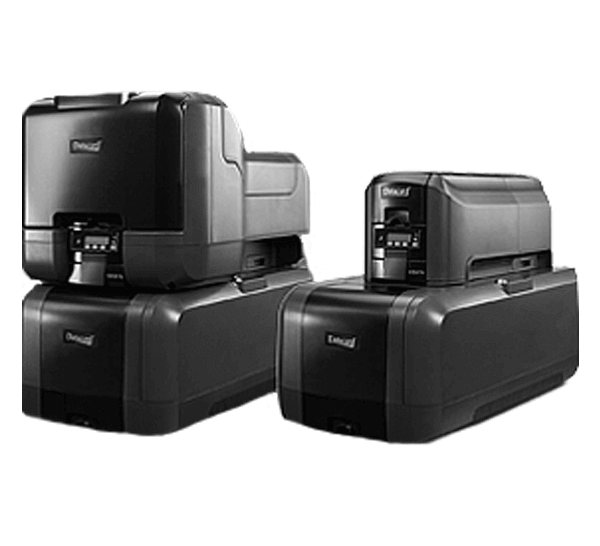 •	Top module (six-compartment multi-hopper, encoding, printing): 33 lbs.